For students, your account name is your campus email alias (for example, jsmith345). To login, go to https://my.hssu.edu/go?AlertMe. The default password is your student ID (for example, 12345). If you are not sure of your password, please use the 'Forgot Password' option. You may also email the HSSU Help Desk for account assistance (helpdesk@hssu.edu). For faculty and staff, your account name is your campus email alias (for example, jjones). To login, go to https://my.hssu.edu/go?AlertMe. If you are not sure of your password, please use the 'Forgot Password' option. You may also email the HSSU Help Desk for account assistance (helpdesk@hssu.edu). For Clay Center parents, your account name is your phone number (for example, 3145551234--no punctuation). 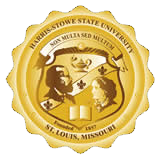 To login, go to https://my.hssu.edu/go?AlertMe. If you are not sure of your password, please use the 'Forgot Password' option. You may also email the HSSU Help Desk for account assistance (helpdesk@hssu.edu).